While a lot of websites and online services rely on reasonable ads that are not intrusive even more employ other more annoying types of advertisement, including pop-ups. Just like on any other platform, it’s possible to stop pop-up ads on Android and there are several ways to do it. Actually, Android seems to be more prone to getting pop-ups compared to iOS, especially considering there are a lot more free, ad-supported apps on Google’s mobile platform. Regardless if you’re getting pop-ups in your browser or via an app, there’s always a solution. 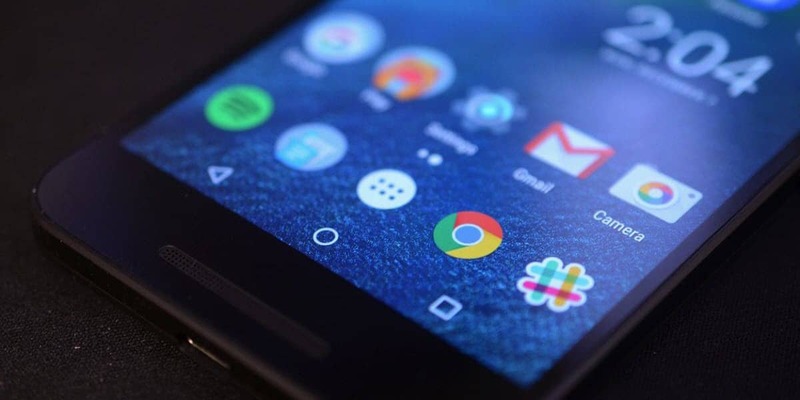 Keep reading to find out what needs to be done to stop pop-up ads on Android devices. Since Chrome is the Android default browser it’s also the most used one so for most users, it’s the first place they need to take care of when it comes to getting rid of annoying pop-ups. Launch Chrome and tap the three-dots icon in the upper-right corner of the screen. From the options, select Settings then navigate to Site settings -> Pop-ups. Enable the option or leave it like that if it was already on. 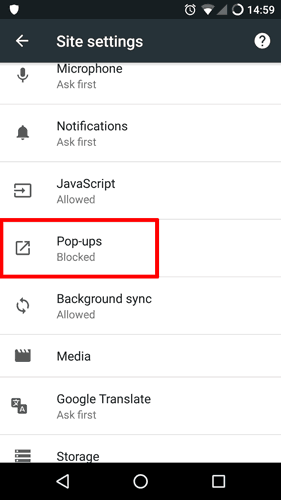 Unlike Chrome, Firefox for Android doesn’t come with a stock pop-up blocker but there are various add-ons you can install for this purpose. 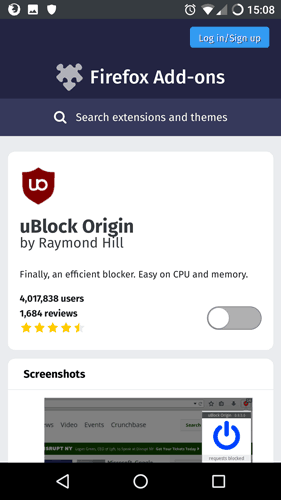 We recommend uBlock Origin because it’s easy to use but also reliable. What’s great about it is uBlock has numerous options that let you customize its behavior. For example, you can define whitelists and blacklists but also create custom rules. It may not be baked into Firefox, but it certainly offers more control than Chrome’s default pop-up blocker. I realize Opera is not as popular as Chrome and Firefox but it’s worth considering if you’re unhappy with the pop-up blocking capabilities of these browsers. Opera has an amazing built-in pop-up and ad-blocker that’s much better at preventing ads compared to Chrome. Perhaps the most annoying type of pop-ups are those who appear out of nowhere when you’re not using any app or browsing the web. But they may still be caused by an app. If such is the case, you must remove the most recently installed app or apps if you installed more than one and see if that solves the problem. The latest versions of Android are much improved security-wise so while a malware infection is pretty rare, it’s certainly not impossible. If you come to the conclusion the pop-up ads you’re getting are not caused by an app you might want to install an antivirus app and scan your device. Also, some carriers offer online antivirus scans so you might want to check their website and see if they have such a service. Have you ever experienced pop-up ads on your Android device and how did you get rid of them?